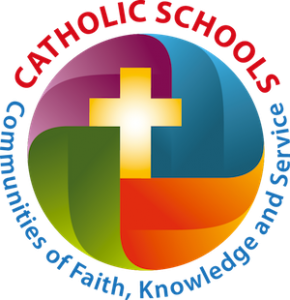 The School of Sacred Heart Saint Francis de Sales has created an innovative and comprehensive educational program that directly addresses the complex needs of our students and their families. 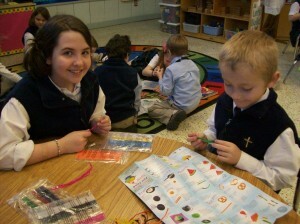 In a Catholic school, your child will benefit from a solid academic and moral foundation. Ours is an intimate and supportive school setting where we know each child by name, students learn to value their own gifts, and to understand the important contributions they can make to their community. The School of Sacred Heart Saint Francis de Sales aims to provide an educational program rich in tradition, with a deep and abiding respect for the past, actively concerned with present issues, as it conscientiously prepares its students for the future. Our faculty is highly competent in providing a curriculum that directs the needs of its students by providing academic experiences along with opportunities for intellectual, spiritual, social and physical growth and development. Classroom sizes average 15 students. Our school is based on a philosophy which strives to develop, in every student, the habits of thinking critically and acting responsibly in daily life. Our school works to develop and nourish the ideas, curiosity, creativity, attitudes, and behaviors, which are necessary for good Christian living. Our school teaches each child to recognize that he/she is special and is God’s child, to think intelligently, to make sound decisions, and to act in the light of the morals developed by Catholic teaching. Care is given to the total development of each student and open communication with parents is maintained throughout the year. 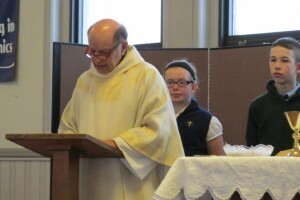 The School of Sacred Heart Saint Francis de Sales is celebrating over one hundred twenty-four years of service to the Catholic Community of Bennington. It is the Parish school of Sacred Heart St. Francis De Sales Church . More than one hundred sixty students attend Sacred Heart, coming from Southern Vermont and its surrounding areas. Our school is fully accredited by New England Association of Schools and Colleges (NEASC), the Vermont State Department of Education and the Roman Catholic Diocese of Burlington, Vermont.